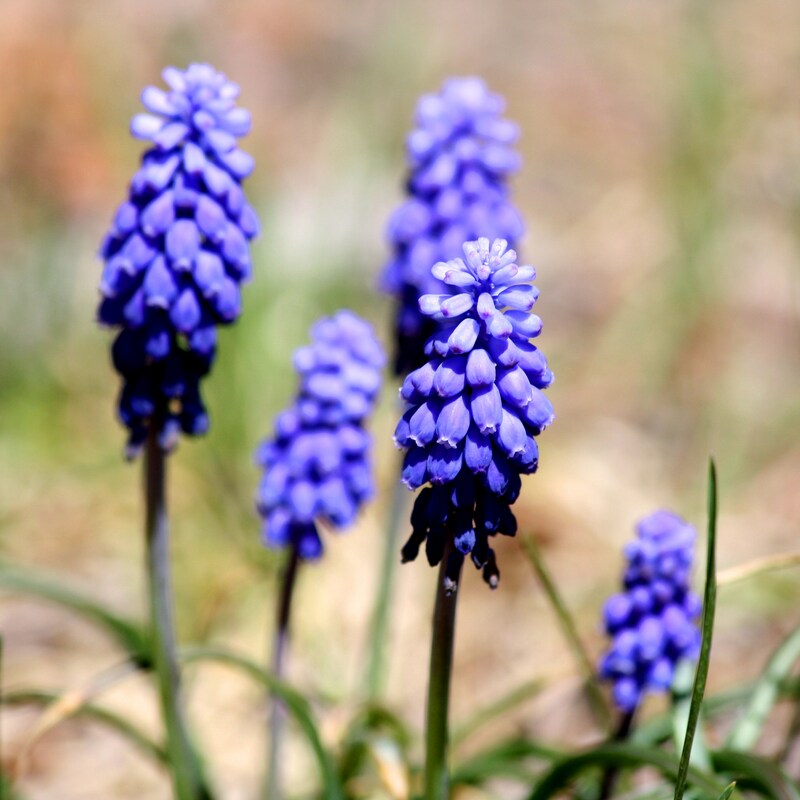 Free high resolution photo of gape hyacinth (Muscari) flowers blooming in the early spring in small clusters of tiny purple bell shaped flowers. Grape hyacinth are lovely perennials that grow from small bulbs. They spread over the years and are a wonderful way to add color to any garden. Free picture for any use.